For the second time in three years, Brazil faces a humanitarian and environmental disaster in the wake of a mining dam collapse. 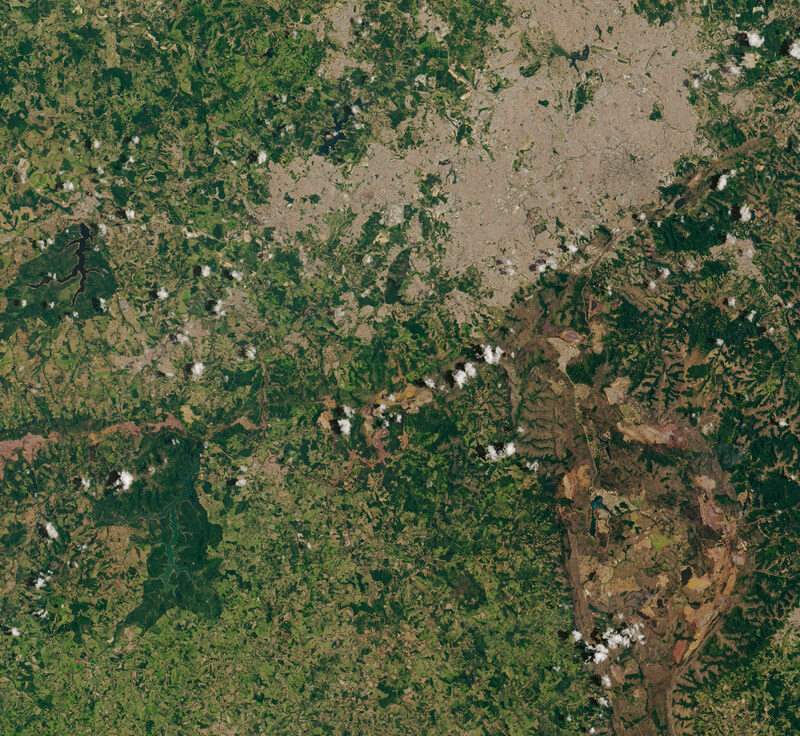 On January 25, 2019, a retaining wall abruptly failed along the edge of a pond of mud-like waste material from a Brazilian mine. 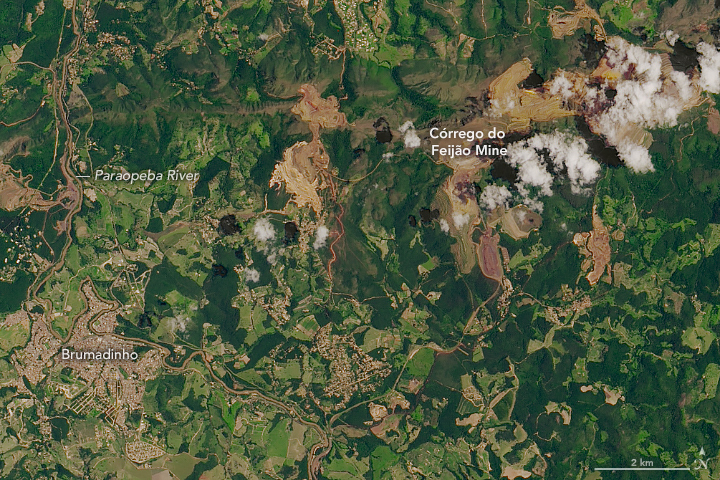 The collapse at the Córrego do Feijão mine in the southeastern state of Minas Gerais released a torrent of tailings that quickly flattened buildings, overwhelmed a bus, and swamped nearby houses. 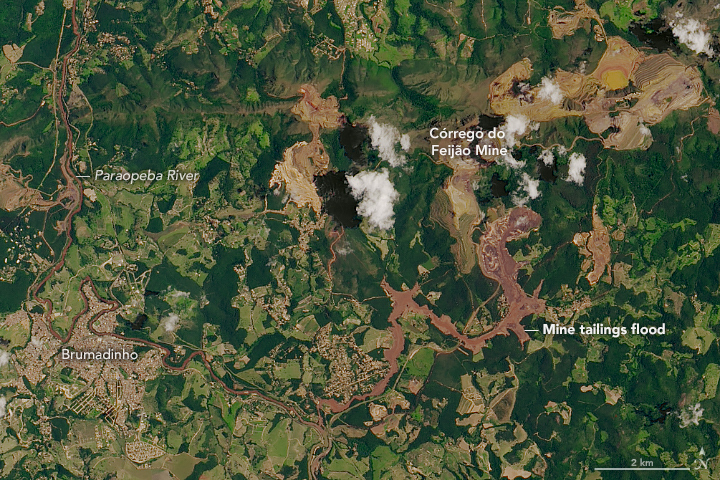 Tailings rushed through the mine, the nearby town of Brumadinho, and the Paraopeba River, a key source of drinking and irrigation water for people in the area. More than 100 people have died and hundreds of people are missing, according to multiple news reports. 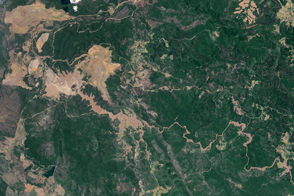 The Operational Land Imager (OLI) on Landsat 8 acquired an image of the tailings dam flood on January 30, 2019. The mine waste water appears brown. 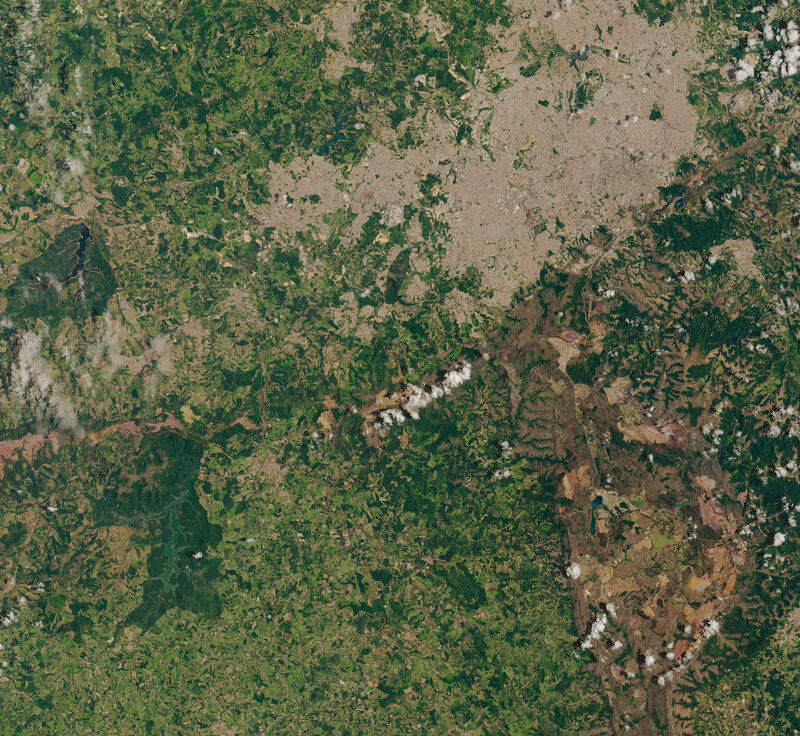 The second image shows the same area on January 14, 2019. The dam had held back more than 15 million cubic yards (11.7 million cubic meters) of waste material, according to the company that operates the mine. After the failure, the mud deposits downstream were as thick as 5 meters (16 feet) in some places. While tailings ponds are routinely contaminated with toxic heavy metals, it is not clear whether the material in this particular pond was toxic. The company says the tailings were mostly sand. An environmental group is in the process of conducting water quality tests. Nineteen people were killed in November 2015 when another tailings dam managed by the same company failed near the town of Mariana in Minas Gerais. That collapse killed 19 people, displaced hundreds, and left 250,000 people without drinking water. NASA Earth Observatory images by Lauren Dauphin, using Landsat data from the U.S. Geological Survey. Caption by Adam Voiland. A torrent of waste sludge from an iron mine has devastated a small town in Minas Gerais. BBC (2019, January 31) Brazil dam disaster: Inside the village destroyed by surging sludge. Accessed February 1, 2019. Smithsonian (2019, January 28) Brazilian Mine Disaster Leaves 58 Dead, 200 Missing. Accessed February 1, 2019. 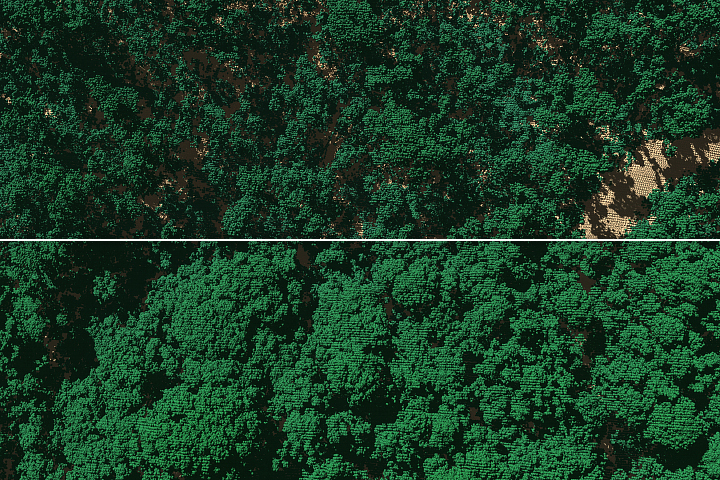 The Landslide Blog (2019, February 1) Brumadinho disaster: the extent of the environmental impact. Accessed February 1, 2019. 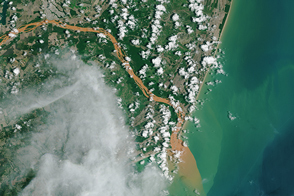 The Weather Channel (2019, January 28) Polluted Wave From Brazil Dam Collapse Headed For Major River and Its Drinking Supplies. Accessed February 1, 2019. 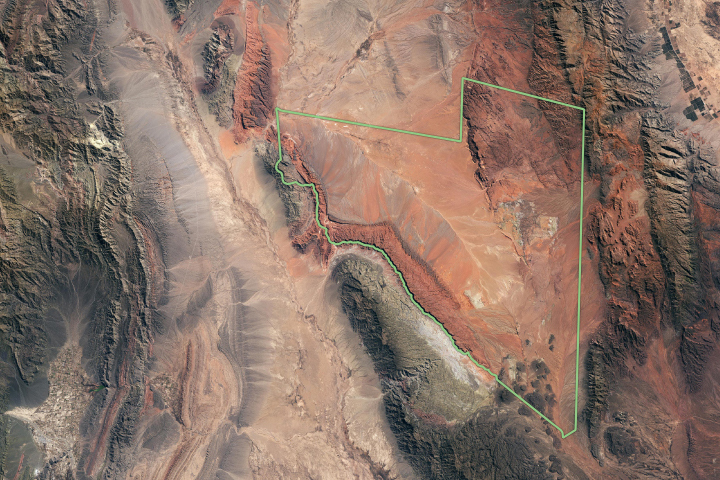 U.S. Geological Survey (2014) Mine tailings. Accessed February 1, 2019. Vale (2019, January 26) Clarifications regarding Dam I of the Córrego do Feijão Mine. Accessed February 1, 2019.